The Stack’s Bowers Galleries Official Auction of the Whitman Coin & Collectibles Spring Expo gathered collectors from all over the country to Baltimore’s Inner Harbor for the first of three exciting Expo auctions in 2019. 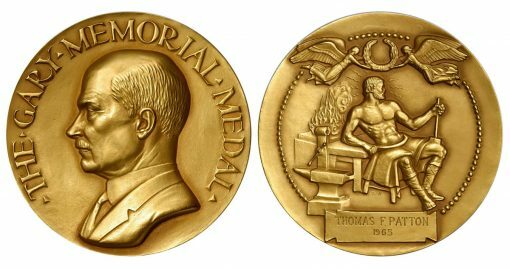 This event met with resounding success, with over $10.3 million in United States coins sold out of $21,035,520 in overall prices realized. Headlined by the Fairmont, Greenway, and Twin Leaf collections, the Stack’s Bowers Galleries sale included impressive material from every corner of the Red Book and beyond. 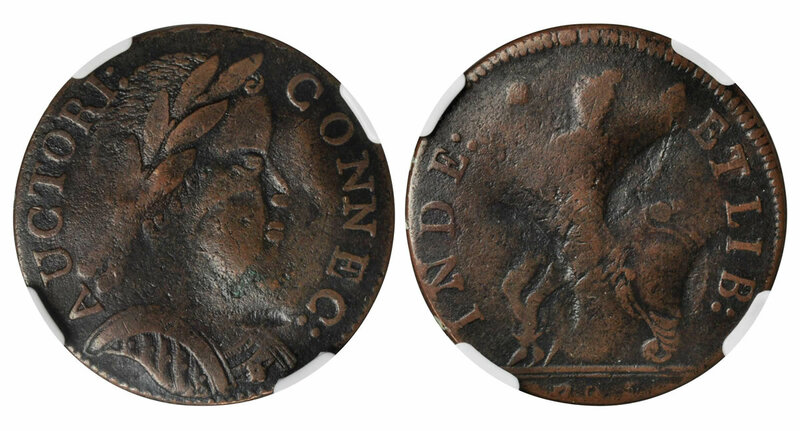 By the close of the final session, more than 4,200 lots of coins and exonumia had been placed into new collections. 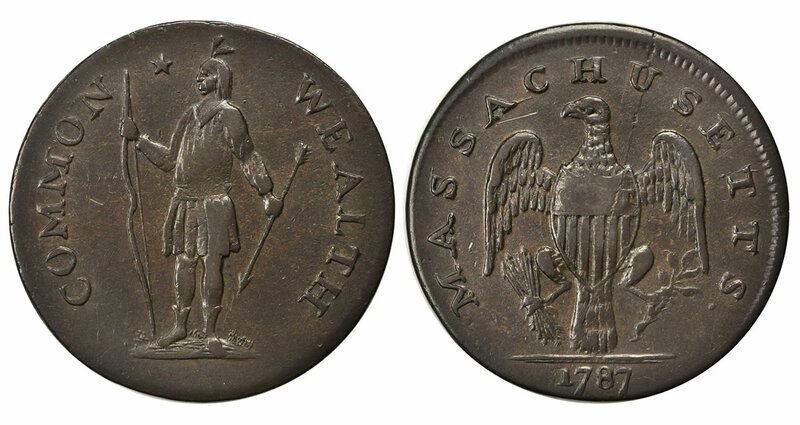 Session 1 featured a variety of important tokens, medals, and Early American issues, including the incredible 10 ounce gold Gary Memorial medal by sculptor Paul Manship that earned $18,000 in lot 127, and the finest known AU-55 (PCGS) 1785 RR-3 Vermont copper from the Greenway Collection which garnered $28,800 in lot 320. 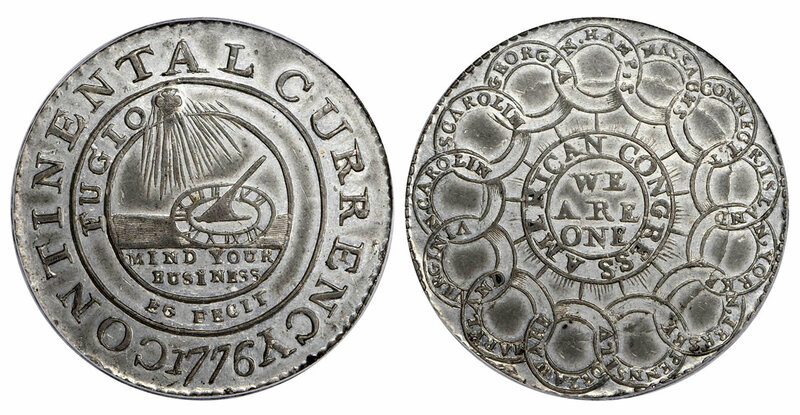 The Rarities Night session was held on Thursday, February 28 and excitement developed early, with the $75,000 sale of the MS-62 (NGC) 1776 Continental dollar from the Greenway Collection in lot 1004. Among 20th century rarities, an MS-67+ RD (PCGS) 1917 Doubled Die Obverse cent earned $120,000 in lot 1027, and a magnificent 1918/7-D nickel certified MS-64+ (PCGS) CAC brought $99,000 in lot 1037. Another treasure from the Greenway Collection was found in lot 1087, where a Proof-64 (PCGS) example of the Judd-58 Restrike 1836 Gobrecht Dollar was pursued to $120,000. This price was matched by the magnificent Proof-66 Cameo (PCGS) 1895 Morgan dollar offered in lot 1114, reinforcing its title as the King of the Morgan Dollars. 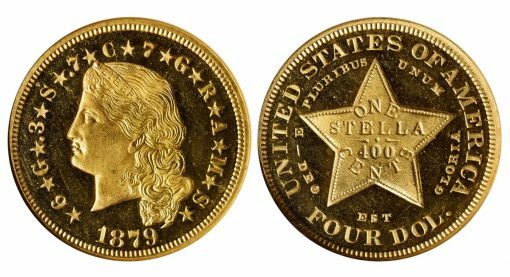 The gold coins truly captured the attention of bidders, resulting in some astounding prices in the second half of the night. The pinnacle of the session was reached in lot 1137, where a Proof-65 Ultra Cameo (NGC) 1879 Flowing Hair Stella was bid all the way up to $240,000. The very next lot was among the most popular of the sale, featuring a beautiful 1795 Small Eagle $5 certified AU-50 (PCGS) and housed in an Old Green Holder with a Gold CAC sticker. Offering excellent eye appeal and technical quality, this jewel realized $84,000 against a PCGS Price Guide value of $47,500. 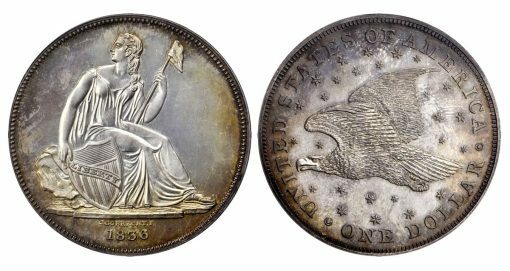 The Rarity-6+ 1797/5 BD-7 half eagle in lot 1141 was graded MS-61 and sold for $180,000. 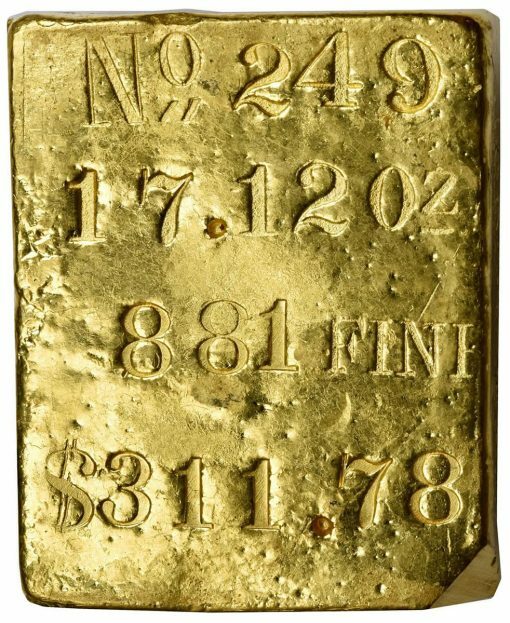 Relics of the California Gold Rush brought the session to a strong close, with the MS-61 (NGC) 1851 Humbert $50 earning $84,000 in lot 1241 and the 17-ounce Kellogg and Humbert gold ingot in lot 1218 realizing $102,000. The Twin Leaf Collection of State Coinage, offered in Session 9, represented an important offering for specialists of Colonial and Early American coins. The Connecticut coppers in the collection represented more than 300 different varieties, while the Massachusetts half cents and cents included 45 of the 51 known varieties. 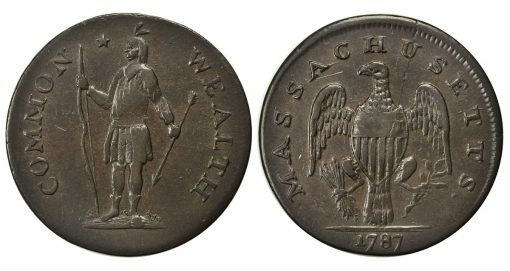 The crowning achievement of the Twin Leaf Collection was the Parmelee-Mills-Jackman specimen of the 1787 Transposed Arrows Massachusetts cent, Ryder 2a-F, offered in lot 8016. Used as the plate coin by both Sylvester S. Crosby in 1875 and Hillyer Ryder in 1920, its appearance in the Stack’s Bowers Galleries sale represented its first public offering in 100 years; it went on to earn $90,000. The 1787 Ryder 7-H Massachusetts cent in lot 8016 offered a provenance stretching back over 114 years and was graded MS-63 BN (NGC) CAC. Called Rarity-7-, it realized $28,800. Incredibly, the rarity ratings only increased as the sale moved through the Connecticut coppers. 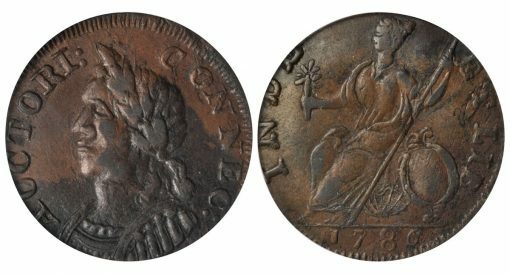 The 1785 Miller 4.2-F.6 Connecticut copper in lot 8075 is considered Rarity-8 with just three examples reported. The Twin Leaf copper is the discovery specimen and was once owned by Eric P. Newman, who is responsible for identifying it as a distinct die variety. With additional provenance to Dr. Hall and Virgil Brand, it sold for $22,800. Lot 8106 showcased a Rarity-7+ 1786 Miller 5.3-B.2 certified AU-50 (PCGS) that is the second finest of just four known. Representing the popular Hercules Head design type, it realized $26,400. The 1787 Miller 33.35-Z.9 in lot 8292 is likely the finest known of the variety, certified EF-40 (PCGS) and accompanied by a Rarity-7+ rating. It was first sold by Stack’s in June 1991, and went on to earn $21,600 in the Spring 2019 Official Expo Auction. 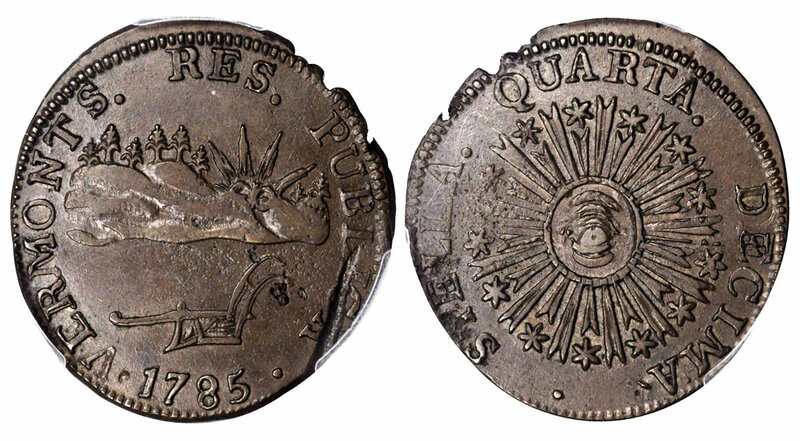 With the completion of the Stack’s Bowers Galleries Official Auction of the Whitman Coin & Collectibles Spring 2019 Expo, the firm is now looking ahead to their return to Baltimore in May for the Summer Expo. 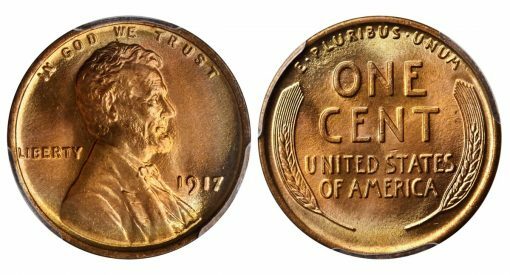 Anchored by a magnificent selection of Washingtonia and impressive rarities from the U.S. Mint, this sale is certain to be another spectacular event. If you would like to showcase your collection in this important auction, contact a Stack’s Bowers Galleries representative today at 800-458-4646 or info@StacksBowers.com. Holy cow that’s a nice copper!